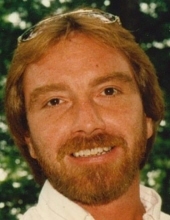 David A. Haley, age 59, of Durand, died suddenly Friday March 29, 2019, at Rockford Memorial Hospital. He was born in Dixon, IL on December 9, 1959, the son of Frank and Delores (Noble) Haley, Sr.
David worked as a black topper for various companies doing road construction. He also worked for electrician Ron Giese, as well as Doden Silos of Mendota during the 1980's. David was an avid Chicago Bears and NASCAR fan, he also enjoyed working in his yard, bird watching, playing guitar and singing. He also loved spending time with his family, especially his grandson Elijah "Popeye" and his companion Rex. Survivors include his wife Joann of Durand; his daughter Rachel (Chad) Foster of Pecatonica; his son Kyle Zissler of Durand; his grandson Elijah Zissler; his mother Delores Doden of Mendota; his mother and father-in-law Carolyn and Dale Lapp of Freeport; sister-in-law Julie Jacobs of Freeport and brother-in-law Kerry Schaefer of Indiana. He was preceded in death by his father, step-father Robert Doden, his brother Frank Haley, Jr. and two sisters Janeece Schaefer and Sue Ohlendorf. Visitation will be held on Tuesday, April 2, 2019, from 2:00 until 4:00 p.m. in the Mihm-Jones Funeral Home in Amboy. Funeral services will be held on Thursday, April 4, at 11:00 a.m. in the McCorkle Funeral Home-Durand Chapel, 101 W Main Street, Durand, IL. Burial will follow in St. Mary Cemetery in Durand. Visitation will also be held on Thursday from 10:00 a.m.until time of service in the funeral home. To send flowers or a remembrance gift to the family of David A. Haley, please visit our Tribute Store. "Email Address" would like to share the life celebration of David A. Haley. Click on the "link" to go to share a favorite memory or leave a condolence message for the family.